Be updated with latest Future of Finance Middle East on the go. 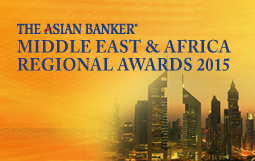 We are delighted to introduce The Future of Finance Summit 2015 Middle East & Africa. The event comes at a crucial time with financial institutions across the region at a strategic crossroads where deciding which path is right for their bank given the dynamic and evolving economic space is a considerable challenge. The Middle East has become to epicentre for cross-continental trading between Asia, Africa, and Europe with its financial services providers uniquely positioning at the forefront of the future of corporate financing, while also striving to maintain strong balance sheets. Furthermore, the new wave of international regulations and compliance is reverberating widely and deeply, requiring the same financial institutions to meet the new and stringent international standards. As countries transition from frontier markets to emerging markets and open up to foreign investment, there will be new opportunities for financial institutions to grow into regional and international leaders. These topics will underline discussions at this year’s Future of Finance Summit and seek to provide answers to specific questions that have a direct bearing on the industry and its further development. The Future of Finance Summit, Middle East & Africa 2015 will be held in Abu Dhabi, United Arab Emirates, one of the region’s new financial centres and an arena that is playing a pivotal role in banking technology to develop a deep, dynamic financial markets platform. This event will provide a platform for the opinions and responses of practitioners from across the region concerning issues shaping the industry today and into the future. The prestigious forum brings together specialists, senior bankers, regulators, service providers, corporates and decision makers from leading institutions across Asia, the Middle East and Africa to discuss ways to advance financial services in a mutually beneficial way for all participants. Each of the dialogues will feature discussions and presentations by global thought leaders and local subject matter experts. Delegates will participate in interactive panel discussions ranging from banking regulations and technology trends to changes in market initiatives, compliance and the topic of financial supply chain. Furthermore with the roundtables and working sessions, delegates will have the opportunity of a hands-on experience to deepen knowledge in their areas of expertise.